Halloween is always a busy day and this year was no exception. 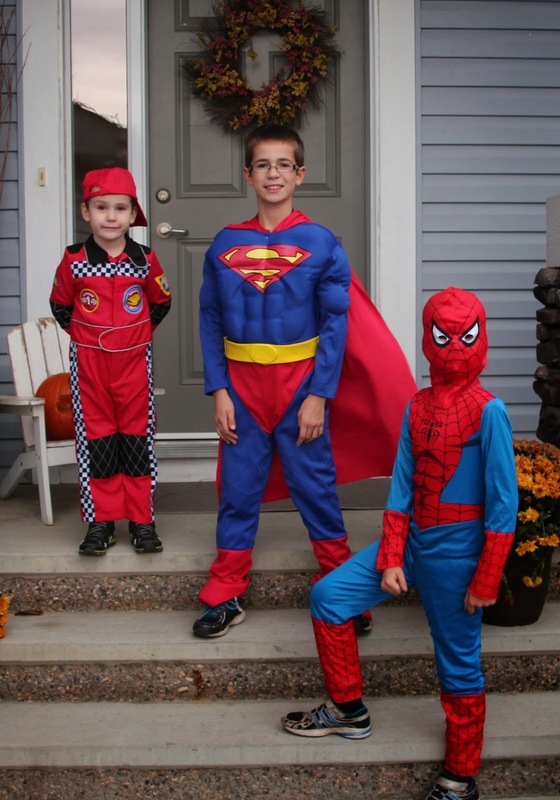 The boys all wore their costumes to school and then again at night for trick or treating. Zack is a race car driver, Jakob is Superman and Levi is Spiderman. The weather was pretty good, it was kind of windy, but there wasn't any snow. Then it was off for a fun night of trick or treating with our friends. Lastly, a trip to see Oma & Opa and the boys' cousins. 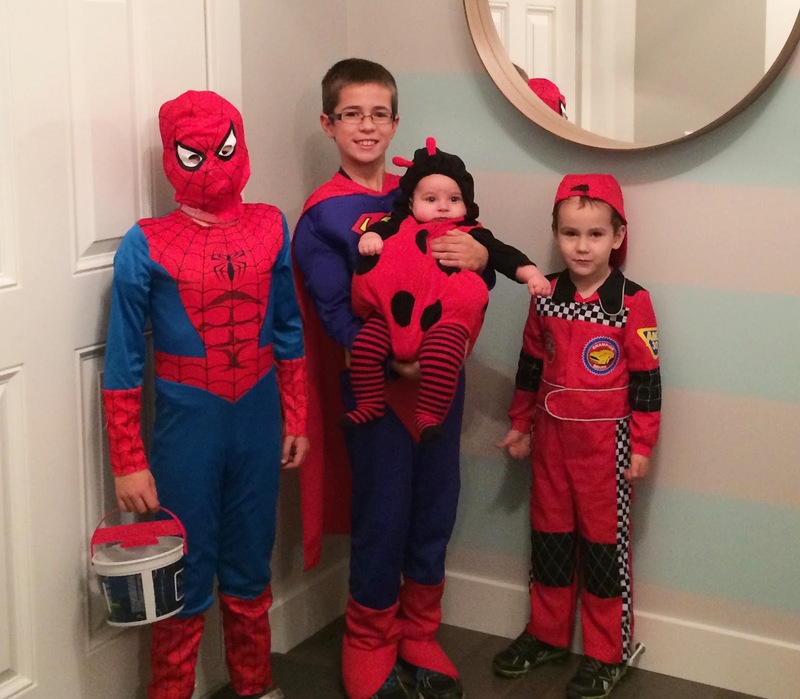 The boys had a fun night and collected A LOT of candy!